Bi-State Development’s Procurement Department’s goal is to procure high-quality, low-cost goods and services in a timely manner. The department is responsible for handling procurement of all goods and services required by the organization’s enterprises (Gateway Arch Riverfront, Metro Transit, St. Louis Downtown Airport, Regional Freight District and BSD Research Institute). Issues approximately 5000 purchase orders totaling more than $120 million and administers over 100 distinct contracts. Spends approximately $ 80 million annually for goods and services to operate and maintain its facilities, vehicles, and equipment. A $50-$70 million annually capital development programs for light rail and bus system expansion and replacement. In compliance with the requirements of the local, state, and federal laws and regulations, BSD is dedicated to ensuring full and open competition and equitable treatment for all potential bidders/proposers during the procurement process (planning, solicitation, award, and administration of contracts). BSD promotes equal opportunity in all forms: Affirmative action in employment and contract participation by disadvantaged business enterprises. Vendors who wish to participate in BSD procurements can register for BSD’s iSupplier program. The use of this web-based system comes at no cost to you (the vendor). Once registered, you will be able to access real-time information on your vendor purchase orders, query invoice statuses & payments, and view & quote on BSD solicitations. Additionally, you can select NAICS codes applicable to your business in order to have an e-notification sent to you when a solicitation is issued for an item or services in your field of experience. To register, go to Current Opportunities and access “iSupplier”. Instructions and links are available to assist you with registration. Bi-State Development advertises its major procurements solely on this website.  Bi-State Development is an organization with strong values of responsibility and integrity. We are dedicated to providing our vendors with an ethical and professional experience and a safe and productive environment. 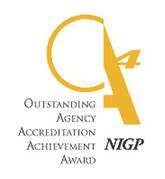 Bi-State Development is proud to have an award winning procurement department.